Project to study sea turtle microbiomes in captivity and in the wild – microBEnet: the microbiology of the Built Environment network. Professor Aubrey Tauer of City University of New York, LaGuardia Community College is running an crowdfunding campaign to support research conducted by her non-profit organization to better understand how sea turtle microbiomes vary in captivity and in wild populations. I asked her to write up something for microBEnet about the project. The campaign ends next week, so check it out soon! Recently a non-profit I co-founded (www.curaearth.org) started an Indiegogo fundraiser to compare sea turtle microbiomes in the built environment (aquariums, zoos, and sea turtle rehabilitation centers) to wild populations of endangered sea turtles. Sea turtles in the built environment have special challenges- changes in diet, husbandry, and water quality are all proposed mechanisms for possible changes from wild-type microbimes. Additionally, in zoos and aquariums many of these animals are housed in mixed species exhibits. While more and more research is being done to investigate the built environment of animals, and wildlife in particular, information is rather scarce on marine organisms in both captivity and the wild. Cura Earth’s mission focuses on the intersection of animal, human, and environmental health with all of our other projects to date taking place in the field. We decided that fundraising for a two-part study would allow us to perfect our collection and storage methods before collecting samples from wild sea turtles, and also give us samples to compare to wild-type sea turtle microbiome samples. 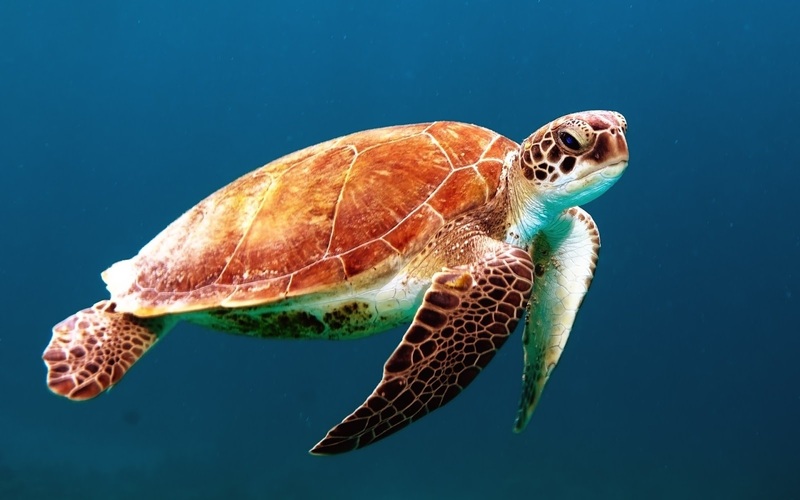 We propose several favorable outcomes from this study: information that may be valuable to institutions related to diet and husbandry, possible public health information as sea turtles have been known to transmit zoonotic disease to handlers and consumers of sea turtle meat and eggs, and possibilities for future studies such as time series analysis as sea turtles enter, are treated, and are released or die in wildlife rehabilitation centers. A recent publication, published after starting our fundraising campaign, showed some differences in microbiomes for loggerhead sea turtles who stranded, based on their status (dead/necropsied individuals, those just entering rehabilitation, and those who had been in care for longer) but their small sample size makes interpretations difficult1. At this time we have until July 22nd to fundraise for year two of this study, which will see us collecting hundreds of samples from sea turtles in Nicaragua, El Salvador, and Mexico. We are excited to tackle some of the challenges inherent in this type of field study, where access to freezers and even electricity will be difficult. While our initial study will focus on female nesting sea turtles, if we raise enough money we can start to look at the microbiome changes associated with life stage by sampling hatchlings and juveniles, as well as eggs, which can fail due to disease. We believe this study is urgent in nature, as rapid changes to the environment are ongoing, not just in temperature but salinity, pH, pollution, and changes to the food web. This pilot data should provide the foundation for long-term studies investigating if and how environmental changes may impact sea turtle microbiomes and how that may affect the long-term survival of their species. This is especially important in the endangered eastern pacific hawksbill, which until recently was assumed to be extirpated until nesting sites were discovered relatively recently and conservation programs were developed to monitor this population, which still exists in low numbers (approximately 500 adult females plus an unknown number of males and juveniles) and is vulnerable not just to disease but to egg poaching and fishing practices that drown juveniles and adults.